Age doesn’t matter and writing poems doesn’t require age. Even in his senior years, Cirilo F. Bautista still does what he loves, and that is writing poems. This multi-awarded Filipino poet, fictionist, critic, and writer of nonfiction added new title to his ample body of work with “Things Happen: Poems 2012”. Those who have already read the book before it was publicly launched said on their speeches that the lines and the phrases Cirilo Bautista used in 2012 motivated and moved their hearts. 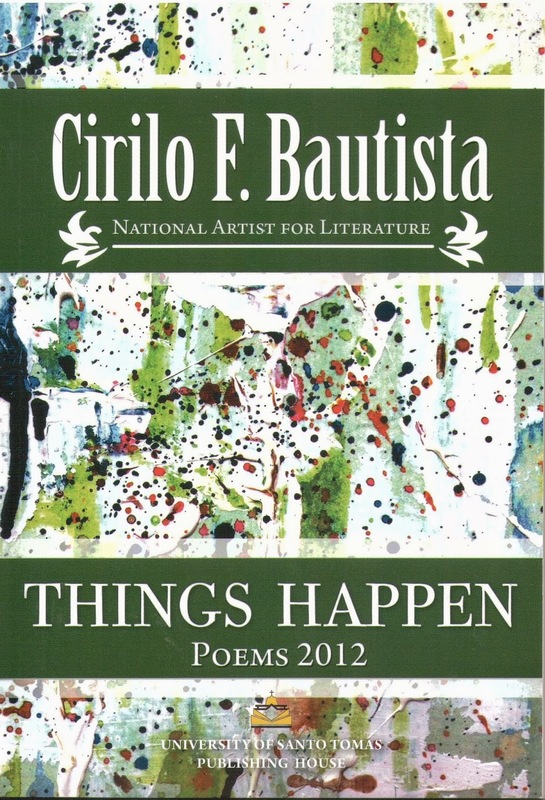 Things Happen: Poems 2012 was launched on March 12 at De La Salle University in Manila. Among the event’s guests were fellow National Artists in Literature Bienvenido Lumbera and F. Sionil Jose, National Artist for Music Ramon Santos, poets Gemino Abad and Alfred Yuson, and other personalities in Philippine Literature and Arts. Even before Cirilo Bautista heard the responses of his peers, he revealed that he considers “Things Happen,” his 12th poetry collection, to be his greatest one so far. "I've been telling people that this is my best book of poems," he later said during his conversation with Lito Zulueta. The poem discusses age, including how the elderly deal with hospitalization, loss, and mortality, and how they see the mundane with a more profound set of eyes, publisher John Jack Wigley explained. 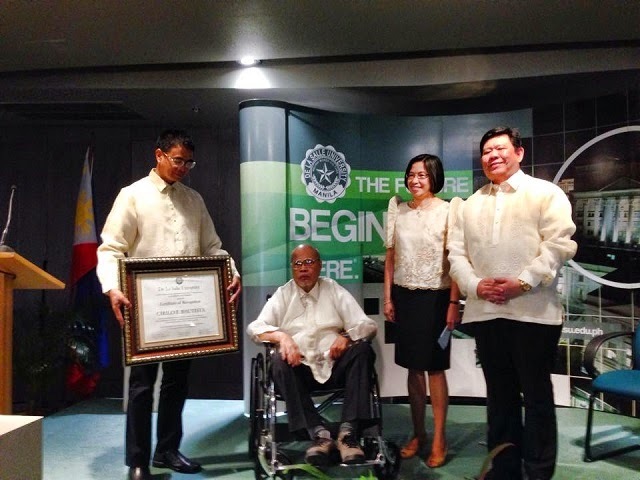 At the event, the DLSU Department of Literature also launched the Cirilo F. Bautista Program for Literary Arts, which aims to provide financial aid to writers to push for their craft. Another climax of the event was the reading of some of the poems. Abad opened the reading with a powerful delivery of "So Many Naked Children," which earned cheers and applause from the crowd. Writer and doctor Alice Sun-Cua read "My Father's House", while young poet Carlomar Arcangel Daoana delivered "I'll Take You Home," award-winning poet Marjorie Evasco read "Style," DLSU Department of Literature chair Dinah Roma read "The Wedding Poem," and poet Yuson closed the poetry reading with "Old Men in the City," a poem dedicated to him and Bautista's other good friend Abad. As someone who is about to read Things Happen, hearing the poets deliver the lines Cirilo Bautista penned gave me quivers. Phrases like "I am complete without you" from "I'll Take You Home," "To love always has an ending" from "Style," and "Who am I to write about love, hurt by its inconstancy?" from "The Wedding Poem" hit the exact notes, a strange take on usual matters of the heart and life. "I don't introduce myself as Cirilo Bautista, a poet," the National Artist said during his discussion with Zulueta and the audience. Instead, he said he just keeps on doing what he loves and lets people label him. Although he is also a good painter and an educator, he refuses to call himself as a writer nor a poet, he said he is sure of only one thing, that he is a reader. "I knew I was reading. When were were poor, I read what I could," he said. Back then, Liwayway and Bulaklak magazines were his first exposure and bridge to literature. True enough, Cirilo Bautista reminded his peers and aspiring writers about the consequences of having desires, as if warning them to stay grounded. "The cause of sorrow is desire. Eliminate desire, then you'll eliminate so much more," he said. 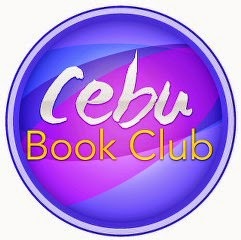 We aim to: Forge friendship through common reading interest and Kick-off healthy discussions on various book genres.